Surf Scoters appearing at the VHFC facilities and docks. 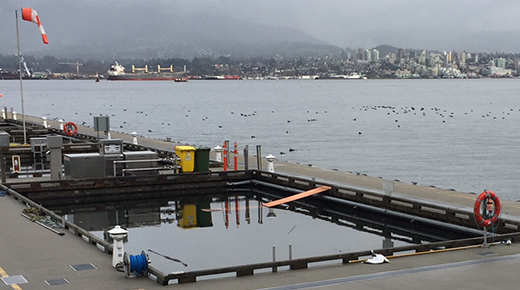 ​Recently, Vancouver Harbour Flight Centre (VHFC) facility coordinators partnered with Harbour Air maintenance engineers to devise a ramp mechanism with one goal in mind: to help out some ducks. 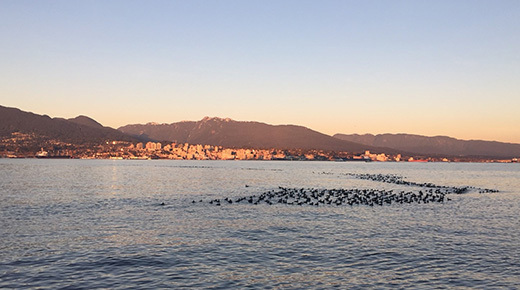 A month ago, masses of ducks known as Surf Scoters started appearing at the VHFC facilities and docks located near the Vancouver Convention Centre. Attracted to the marine life they could feed on underneath VHFC docks, flocks of Surf Scoters decided to loiter in the area in between the docks. Though it was a cozy spot for them to feed, landing in the area had put them in a dire situation; there wasn’t enough space for them to take off and they were trapped! “The poor ducks were stuck, so we decided to give them a hand. At first our VHFC facility coordinators tried to remove these ducks with their pool scoop, but the ducks were not cooperative and even put the coordinators in a bit of a wild duck chase,” says Marty Allard, General Manager of Passenger Facilities at VHFC. 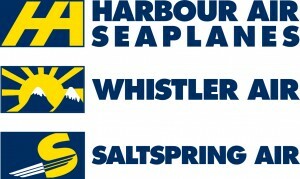 After some head scratching, VHFC worked with the Harbour Air maintenance engineers to devise a ramp mechanism that consisted of a piece of plywood placed on top of the dock that reached into the water. “As a result, the ducks were more than happy to use their new ramp and reunite with the rest of their flock,” concludes Marty, giving this story a happy ending.